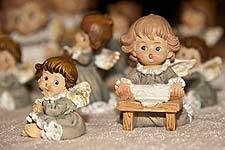 Am 8. und 9.12.2012 fand der schon traditionelle Adventmarkt im Schloss Ennsegg statt. Die Fotoreportage ist unter www.enns.or.at zu sehen. Always a great experience!!! By far the most respectful and courteous staff I have ever had to work with. The trabuco canyon ac do great work, I have consistently found their suggestions to be spot-on, and appreciate the real-time turnaround on providing and installing my new thermostat. This is often just as a fantastic articles my partner and i really actually enjoyed examining. This is simply not on a regular basis that i have got prospective to work through a concern. How to make yourself Squirt?